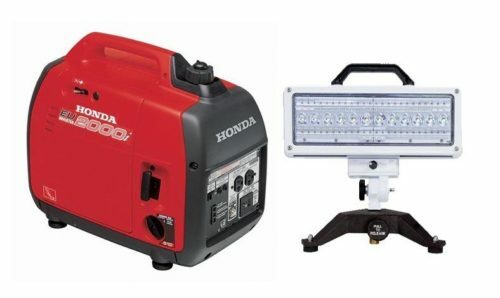 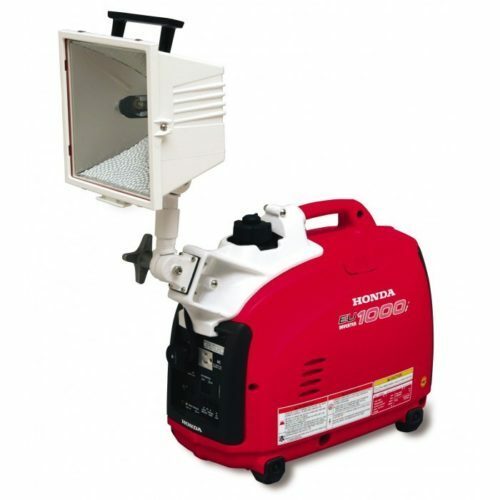 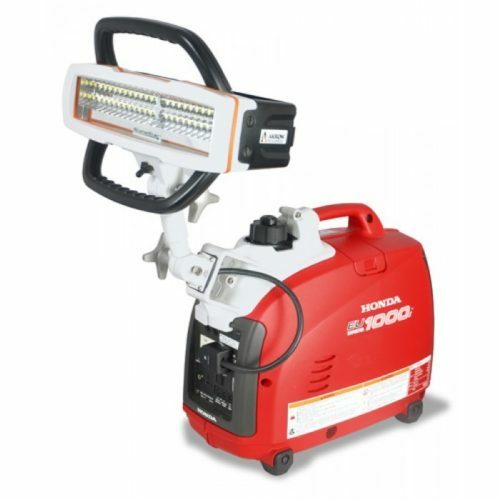 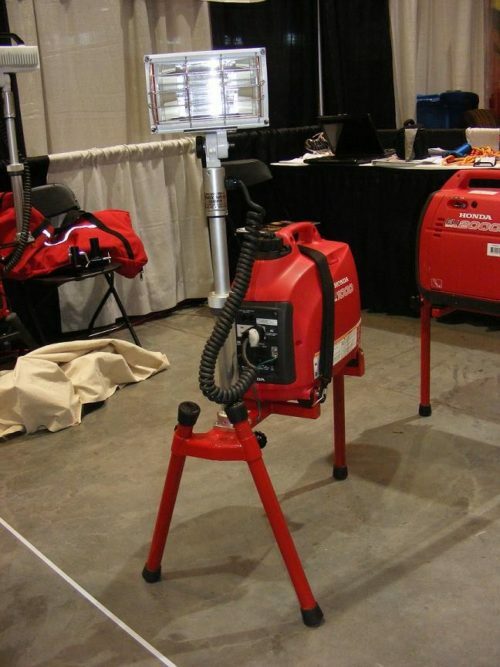 Portable scene lights using Honda generators as a power source. 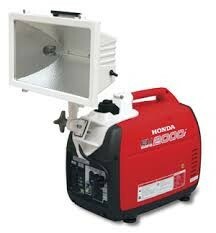 Halogen, HID, and LED light heads are available. 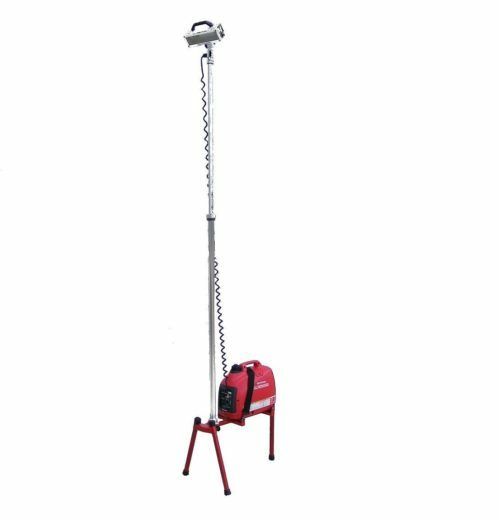 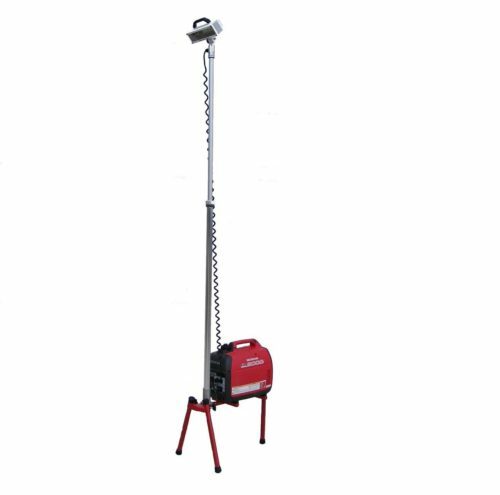 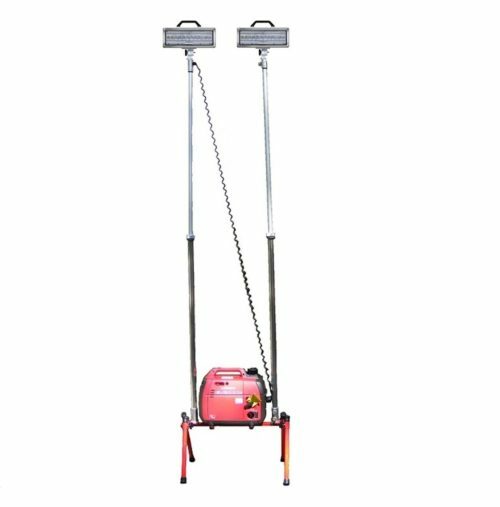 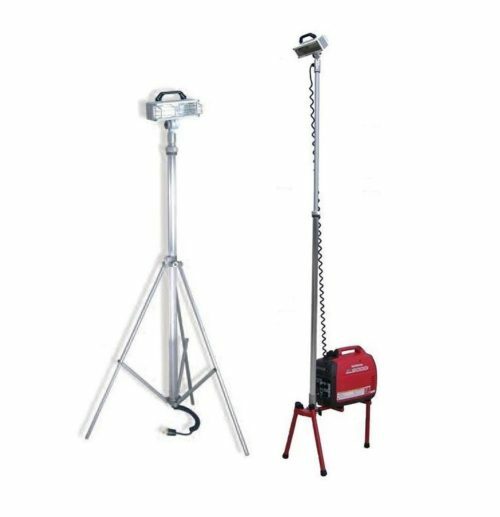 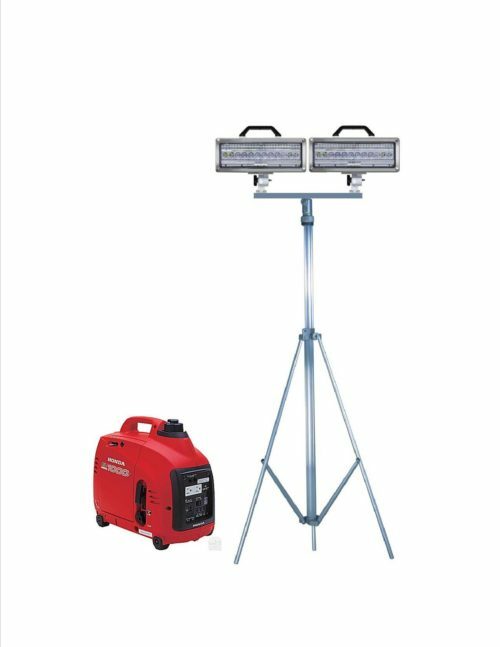 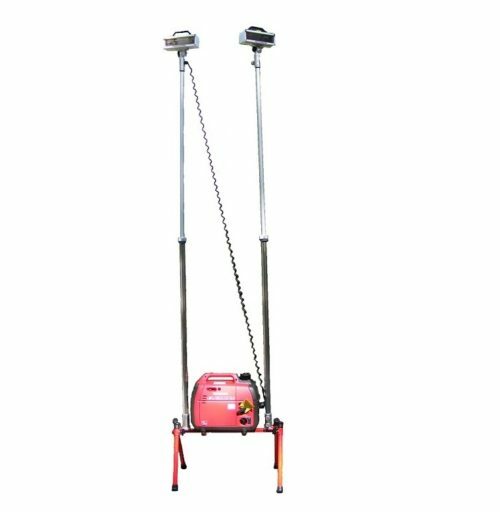 Single extension pole or two extension poles elevate to a height of 12.5 ft. Halogen light heads are 1000 watts and the LED Spectra are 20,000 lumen. 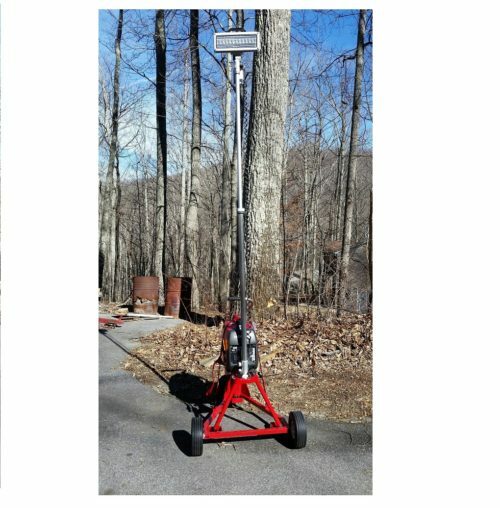 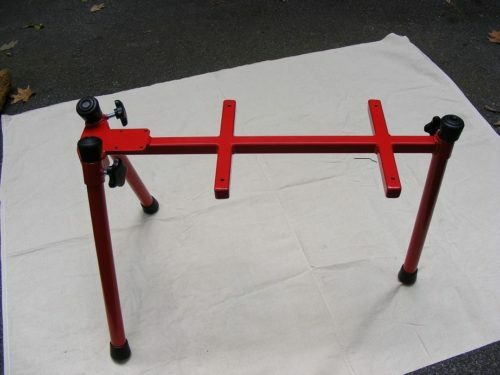 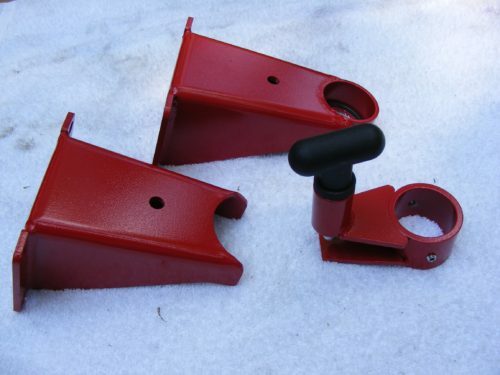 wheeled cart available.